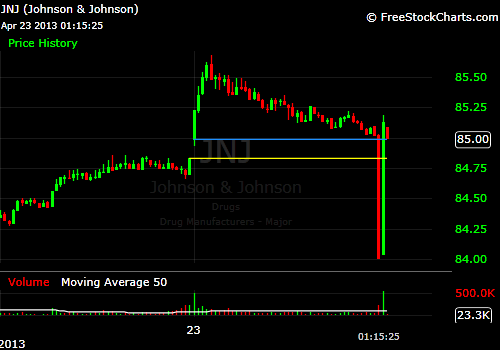 (JNJ) – a few minutes later, look what is going on with Johnson & Johnson company on a daily chart. Is it just an error in my charting software or did we just saw a minicrash? What do you think? Could you see a similar drop in your charting tool?